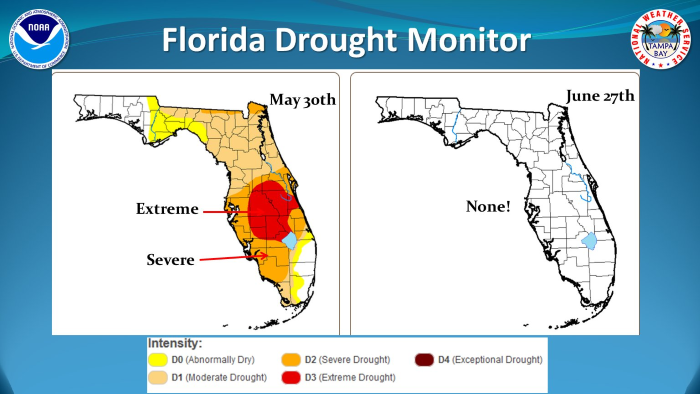 That map of radar-estimated rainfall represents a deluge in early June which was a key to one of the month’s big weather stories, the erasure of all drought in Florida! Another system in the Gulf of Mexico, which evolved from a big “CAG” (Central American Gyre), was at various times in its life somewhere on the tropical/subtropical/extratropical continuum, and officially Tropical Storm Cindy. Gulf storms in June are common; what makes this circulation pattern below remarkable is the presence of a tropical storm in the southeast corner, Bret, unusually early in the hurricane season for a tropical cyclone from the eastern Atlantic. As the month progressed, there continued to be tropical waves which were quite feisty for June. On the Pacific side, the first images of a hurricane, Dora, from the new GOES-16 satellite. Another swirl on GOES-16, this one non-tropical and led to everything from a windstorm in Utah to tornadoes from Wyoming to the upper Midwest. Also note the intricate detail in the atmosphere in the lower right part of the images. And radar showed a string of supercells in Iowa. 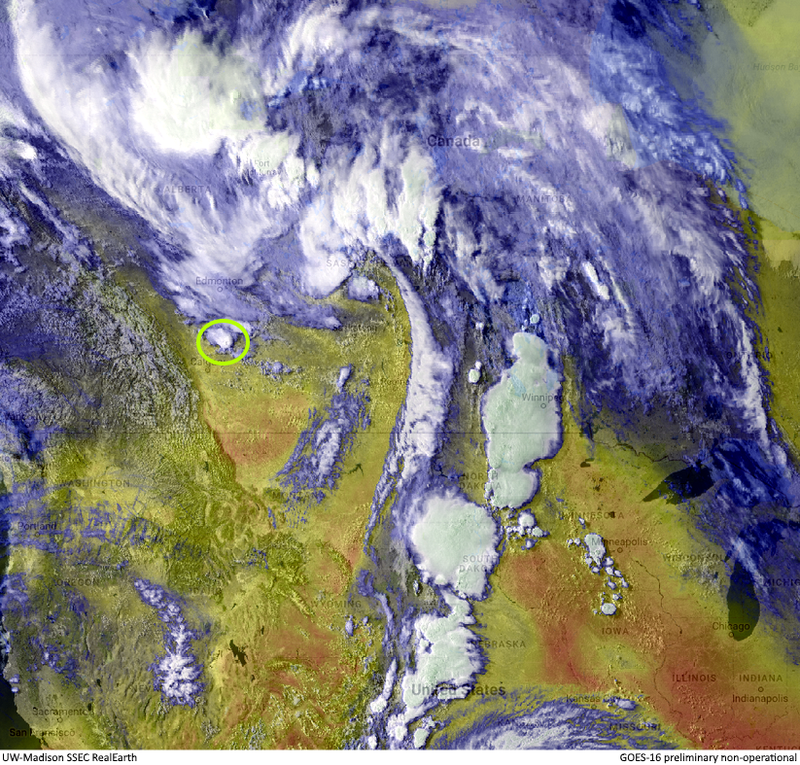 This was quite an outflow boundary in Kansas and Colorado! 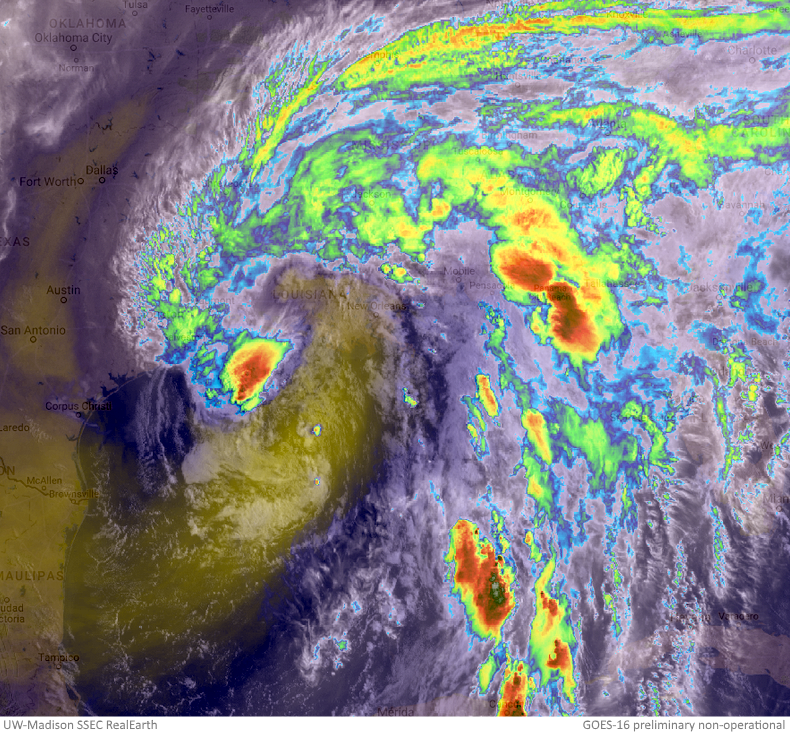 This massive type of thunderstorm system appeared to meet the definition of an MCC (mesoscale convective complex). And last but not least, check out these atmospheric waves! Some difference than the first Essa7 and 8 pics back in the early ’70’s. Those are great images, keep them coming. Also, very informative. Love the ‘last but not least’!